??? "Speed is the only protection this vehicle provides; it is unarmored, noisy, and prone to roll-over. It demands a level of skill from its operator that is impossible to expect...during combat conditions." ?? ?The M274 Ultra-Light All-Terrain Vehicle, abbreviated M274 ULATV and commonly known as the Mongoose, is a United Nations Space Command light ground reconnaissance vehicle designed by AMG Transport Dynamics. The Mongoose lacks weapons, but can carry a driver and a passenger. ?? ?The M274 Mongoose ULATV is one of the fastest and most maneuverable ground vehicles in the arsenal of the UNSC Marine Corps. It is a highly effective vehicle for reconnaissance, rapid transportation, swift tactical versatility, and for shooting between positions. A smaller cousin to the ubiquitous M831 Troop Transport, the Mongoose is a small ATV capable of carrying a driver in the middle of the vehicle, and features a rear platform that can be used to carry one additional passenger. Because it carries no armament of its own, having a passenger is usually essential if engaging in a combat zone. Due to its smaller size, the Mongoose is a difficult target for both slow and fast moving enemy weaponry, as opposed to the Warthog, whose size is somewhat substantial. However, one should note: It's a common misconception that this ULATV is faster than any other ground vehicle in Halo 3, when the M12 LRV Warthog is actually faster (this is due to the different camera angle between the two, as well as the Mongoose's better acceleration). ?? ?The Mongoose's high speed, light mass, and practically non-existent armor make it unwieldy and difficult to control at high speeds and/or over unstable terrain, making the ULATV vulnerable to destabilization, crashes, and flips. To make matters worse, the design of the vehicle and its lack of armor leave both the driver and passenger completely exposed. Furthermore, the Mongoose does not incorporate any offensive or defensive capabilities, making the Mongoose's only practical defenses an armed passenger and it's speed. Thus, the standard UNSC Marine Corps operating protocol in engagements against Covenant forces is to place a M41 Rocket Launcher-armed Marine in the passenger position to fire rockets against slow-moving hostile vehicles, while the driver uses the Mongoose's superior speed to evade enemy return fire. In a last resort situation, the Mongoose can be used to run over nearby enemies. Yet, attempting a splatter is usually an ineffective plan: The low width and height of the vehicle, combined with the aforementioned instabilities when driving, make it very difficult to successfully score an impact on an opponent. ?? 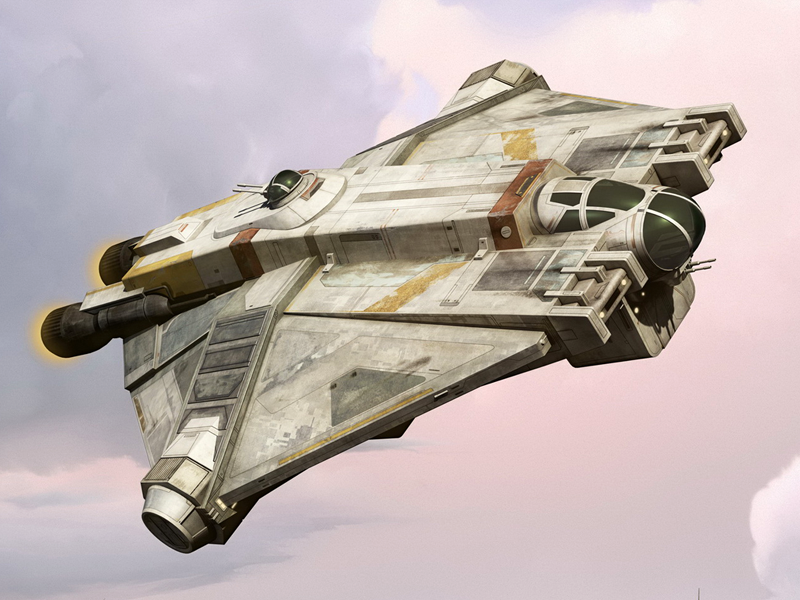 ?For quick and practical deployment, the Mongoose can be transported by the Pelican dropship or the Behemoth-class Troop Transport (Elephant). Additionally, the AV-14 Attack VTOL appears to have a winch capable of transporting the ULATV, but it is not seen used during gameplay. ?? Finally, this vehicle is considered to be analogous to the Covenant Type-32 "Ghost" Rapid Assault Vehicle, despite the offensive, defensive, and performance differences. ?? ?The Mongoose is operated by a single driver, seated in the middle of the vehicle. Once a driver is in place on the seat, the ULATV accelerates rapidly, and can reach a top speed of 60 MPH. The high acceleration and high top speed available on the vehicle proves a vital advantage while trying to "splatter" enemies. However, the Mongoose's excessive maneuverability often makes it quite difficult to splatter enemies: A head-on, full-velocity impact on a shielded enemy is needed to deliver sufficient force to kill. ?? ?The lack of weaponry mounted on the Mongoose makes the presence of an armed passenger often essential in combat zones. Engagements with enemy infantry or vehicles are often inadvisable in the absence of a passenger armed with heavy weaponry; the Mongoose's extreme speed and maneuverability makes it the best choice to zoom through enemy lines. The Mongoose's speed and acceleration makes it almost impossible to hijack. ?? ?The Mongoose's lack of personnel-protective armor, however, makes the driver, and especially the passenger, vulnerable to enemy fire, especially from medium-long range weapons such as the BR55HB SR Battle Rifle. Although the Mongoose's maneuverability makes it difficult to destroy with heavy weapons such as the M41 Rocket Launcher, the Mongoose is vulnerable to the Spartan Laser; despite the Mongoose's high speeds it is extremely easy to track with the Spartan Laser since the Mongoose cannot reach speeds to make tracking difficult. The Brute Shot is also very effective, if you hit the Mongoose, it will send it about two of three meters flying the direction you shot at. Furthermore, in close-range engagements against a Mongoose, it is easy to stick or melee the operators. A slightly interesting trait is that if a player on a Mongoose attempts to ram another player who is wielding an Energy Sword, the sword-wielding player can actually lunge over the low windscreen of the Mongoose and kill the driver, provided their timing is good. ?? ?Despite the Mongoose's acute vulnerabilities, its light mass and small profile give it interesting applications: it is possible to launch the Mongoose safely off of a man cannon (albeit with mixed results), and the Mongoose can allow a driver "lowride" in one; to drive by balancing on the back two wheels. ?? ?Unfortunately, this light weight can also be the player's downfall. Explosives as weak as the splash damage from a fusion coil detonation are strong enough to flip it, and when fighting Flood Infection Forms, the Mongoose isn't heavy enough to pop them (the Mongoose will simply drive over the Infection Forms, leading to a bumpy ride that usually flips the player, and commonly leads to a quick death, perhaps to the Infection forms on higher difficulties). -The Mongoose handles more heavily than its incarnation from Halo 3 and Halo 3: ODST . -The chassis is more detailed and is slightly larger. -The windshield is absent, being replaced by a metal plate which features a mirror on either side. -The mongoose now has a motion blur effect; when it makes jumps, the appearance of the environment when making the jump will blur, and the mongoose's handling now make it feel like you're going through the air fast. 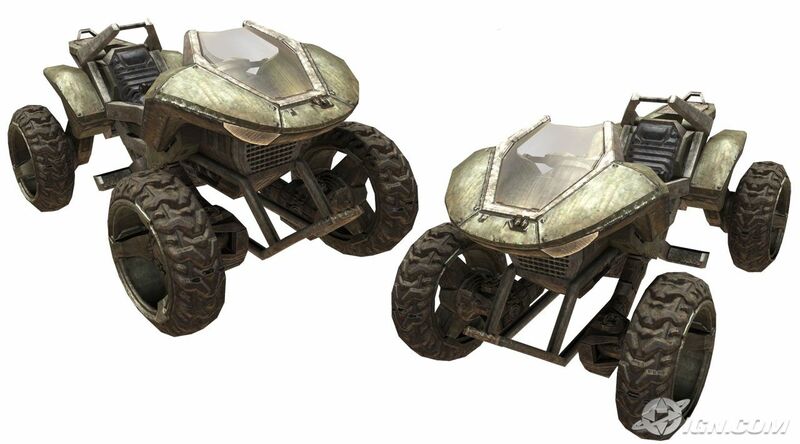 -Overall, the Mongoose looks more like a traditional ATV.